Harvard Summer School sponsors F-1 student visas for international students enrolling full time for credit in courses on campus. Before applying for a student visa at a US embassy or consulate, international students must request an I-20 certificate (Form I-20) from Harvard Summer School. Courses must be held on the Harvard campus. Online only, web conference, hybrid courses, and Study Abroad programs do not meet the I-20 requirements. See Choosing a Credit Status for more information on credit and noncredit study options. How Do I Request an I-20 Certificate from Harvard Summer School? If you are coming to the United States to attend a Harvard Summer School session on campus and you will be enrolled full time in undergraduate or graduate credit courses, you must obtain an I-20 certificate from Harvard Summer School and apply for an F-1 student visa (see sample) at a US embassy or consulate in your home country for your entry to the United States. An I-20 certificate is required for F-1 visa application, interview, and entry to the United States in F-1 visa status. Because visa processing times vary from country to country, you should meet the I-20 requirements (outlined below) early enough to ensure you can obtain your visa from a US embassy or consulate in time to arrive in Cambridge for the start of your Summer School session. Note that the Summer School may prohibit or cancel your registration if you do not attend all class meetings during the first week of classes. Canadian students: You are not required to obtain an F-1 visa stamp in your passport for entry into the United States. Instead, you will present your I-20 certificate, a valid passport, and your SEVIS fee payment receipt at the port of entry. You have submitted your online I-20 request. You can request an I-20 certificate online when you register for courses (beginning March 4). You have been admitted to a selective admissions program (if you applied for such a program). You have registered for a total of 8 undergraduate (UN) or graduate (GR) credits in the 7-week session, or for 4 undergraduate (UN) or graduate (GR) credits in a 3-week session, in courses held on the Harvard campus. Online-only, web-conference, hybrid courses, and Study Abroad programs do not meet the I-20 requirements. You have met the English proficiency requirement if English is not your native language. Your payment of the $1500 deposit toward your total Summer School charges has been received by the Summer School. It takes three to four weeks for the Summer School to process your I-20 request once you meet all requirements. Starting on March 4, you can check the status of your I-20 request by logging in to online services. Once the I-20 certificate has been mailed, a link to your FedEx tracking number will be provided there. The firm deadline to request an I-20 certificate and to meet all the requirements is May 6, 2019. You will not be issued an I-20 if your request is not complete by May 6. If you are transferring to Harvard Summer School from another school in the United States, note that if you meet all of your I-20 certificate requirements by the May 6 deadline, your Harvard I-20 will be issued after the program completion date specified by your current school on your completed transfer in to Harvard form. How Do I Apply for an F-1 Visa After Receiving an I-20 from Harvard Summer School? Before entering the United States, you will need to obtain a US entry visa at a US embassy or consulate in your country of citizenship. *The SEVIS fee ($200) is a US government fee paid to the Department of Homeland Security. All applicants who require an F-1 visa to enter the United States must pay the SEVIS fee before going to a US embassy or consulate for their visa interview. It can be paid online at http://www.FMJfee.com by using a credit or debit card, or by alternate means detailed on that same site. Harvard’s school code needed to pay the SEVIS fee is: BOS214F00162000. To schedule an appointment at a US embassy or consulate, follow the instructions on the website of the US embassy or consulate you will visit. Also review the list of required documents listed on the F-1 visa category section of that website. Allow ample time to obtain your visa. The US Department of State has indicated that the process of issuing visas to some individuals might be longer due to security clearances. Please check with the US embassy or consulate at which you will apply for your F-1 visa for its specific processing time. Canadian citizens are not required to have US visas, but must have an I-20 certificate and SEVIS fee payment receipt with them for entry to the United States. Dependents (spouse and unmarried children aged 21 or younger) must have their own original I-20 certificates from Harvard Summer School and must apply for F-2 visas (except for Canadians) at a US embassy or consulate. A dependent may travel to the United States with you or independently after your arrival to the United States. Verify accuracy. After you receive your passport with your visa and your I-20 certificate, please check to make sure that all the information printed on the visa is correct. If any of the information on your visa does not match the information in your passport or is incorrect, please contact the US embassy or consulate that issued you the visa. You may enter the United States in F-1 status no more than 30 days before the start date listed on your I-20 certificate. F-2 dependents must not enter the United States before the F-1 student does. Evidence of SEVIS fee payment. Do not pack your I-20 and passport in your luggage. If you have an I-20 from the Summer School, you must check in with a Harvard International student Office (HIO) advisor during your session’s specified arrival and check-in dates. You may download your I-94 record only after you have entered the United States as an F-1 student. Bring a printout of the I-94 or save a PDF on your electronic device to show during check-in. How Can I Attend Harvard Summer School if I Have an I-20 from Another Institution in the United States? If you are enrolled full time in a program or school in the spring of 2019, and you will be enrolled in the same institution in the fall, you do not need to request a new I-20 from Harvard Summer School and may enroll either part time or full time during the summer. If you are currently in the United States on an F-1 visa and your I-20 will expire or your program will end in spring 2019, you should request an I-20 from Harvard Summer School for your summer study. See "Requirements for Obtaining an I-20 Certificate" below. If you plan to attend another school in the United States on an F-1 visa in fall 2019, you should request and obtain an I-20 certificate from the Summer School and enter the US on an F-1 student visa in June for your studies at Harvard Summer School. See "Requirements for Obtaining an I-20 Certificate" below. You may transfer to the new school within the 60-day grace period following the program completion date specified on your Harvard I-20 certificate by submitting transfer-out documentation to the Harvard International Office. If you have attended Harvard Summer School in the past, you need to request a new I-20 from Harvard Summer School for 2019. If your visa stamp is expired you will need to apply for a new F-1 visa. 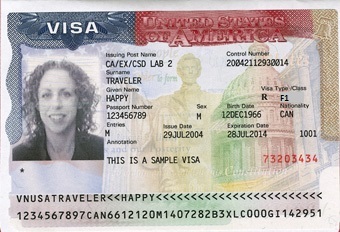 If you have an unexpired visa stamp please contact visas@summer.harvard.edu to determine if it is still valid for use. See "Requirements for Obtaining an I-20 Certificate" below. You should meet the I-20 requirements early enough to ensure you can obtain your I-20 from Harvard Summer School in time to arrive in Cambridge for the start of your Summer School session. Note that the Summer School may prohibit or cancel your registration if you do not attend all class meetings during the first week of classes. How Can I Use Another Visa to Study at Harvard Summer School? Neither ESTA nor the B-2 visa allow for credit study, either full-time of part-time. ESTA and B-2 visas are only for international travelers whose main reason for visiting the United States is tourism. Noncredit study is permissible while on a B-2 visa or ESTA in the United States. If you do not intend to earn a credit upon completion of a course, you may enroll in a non-credit course while in the US on ESTA or B-2. If you intend to pursue full- or part-time study for credit at Harvard Summer School, do not attempt to enter the United States on either ESTA or the B-2 visa. Attempting to enter the United States in ESTA or the B-2 visa status to earn credit is a violation of US immigration regulations, and you may risk being denied entry to the United States. This is true for non-degree students as well as admitted Harvard Extension School degree candidates. Many other types of US visas allow study, such as the A, J-1, J-2, F-2, H1B, H-4, L, TN, and others. If you are currently in the United States on one of the above visa categories, please check with your visa sponsoring organization on the limitations for your study. Not Sure Which Information Applies to You? Please contact us at visas@summer.harvard.edu, and we will be happy to help you with your questions.